Designed and produced for commercial and industrial application the ExcluGrille® is manufactured using a heavy steel box section combined with 25mm diameter reinforced steel bar. The result is a Window Grill which is certified by the LCPB to standard LPS 1175 SR levels 3 & 4. 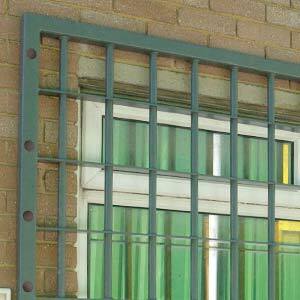 Exclugrille can be either face or reveal fitted into brickwork, concrete or steel.